In a high school English classroom, we rarely have the opportunity to practice and assess our students' reading fluency. After all, with the time constraints of a 50-minute classroom, it would be nearly impossible to give 25 students a chance to read aloud from a text. What's more, we don't want to force kids to read a passage aloud in front of their peers when they have had limited time to practice. Now, thanks to the audio feature on Schoology, it is easy to seamlessly incorporate fluency instruction and assessment into our courses. Simply create an assignment as you regularly would in Schoology. 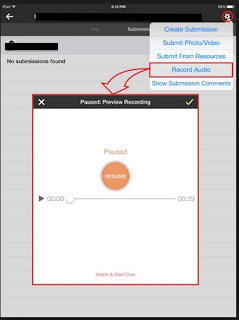 When students go to submit the assignment, they will click on "submit audio recording." Recently, I had the opportunity to use this audio feature with my honors freshman class. Students practiced reading the prologue from Shakespeare's Romeo and Juliet in small groups, paying particular attention to the punctuation, phrasing, rhyme, and overall purpose of the passage. 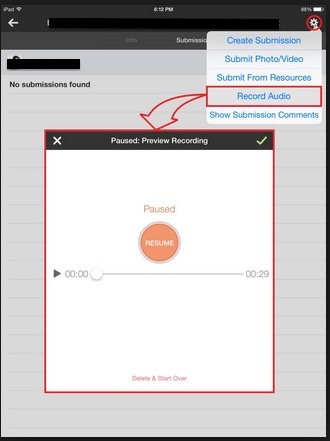 Then, students went home and submitted an audio recording of themselves reading the prologue aloud. I was able to provide students with individual feedback about how to improve their fluency, thus, enhancing their overall understanding of the passage. For example, I could hear that several students were pausing and ending phrases at the end of the line, rather than continuing the phrase to the end of the punctuation. It's easy to forget that fluent reading is not a product of good reading but a contributor to reading comprehension.